Varicose veins are frowned upon by many people who find them unpleasant to look at. While they don’t cause significant problems by themselves, they’re worth checking out, as they could be symptoms of other medical conditions. Varicose veins occur more commonly among females and is hereditary in nature. Pregnant women often have them during the first trimester because of hormonal changes. Others develop varicose veins during puberty and menopause. Leg injuries, obesity and standing for an extended period can also cause the veins to appear swollen. There are no noticeable symptoms except the appearance of more noticeable veins under the skin. They will look like bruises but in the form of lines. The pressure on the veins, which function as passageways of the blood towards the heart, will make them wider. They often appear in the calves because there is more pressure on the lower body. Reticular varicose veins, which are red and grouped closely together, often appear around the ankles. Trunk varicose veins are thicker and nearer to the skin surface. These are the bulgy veins. Varicose veins in the legs usually form in the greater saphenous vein (from the ankle to the back of your thighs) and the lesser saphenous veins (from the Achilles tendon to the back of the knees). While branch type veins appear below the knees. Varicose veins can also appear near the genital area. Sometimes thread or spider veins also appear on the face. Called telangiectasia varicose veins, they are red and blue veins grouped closely together. Besides hormonal changes, they appear because of damage to blood vessels. There is a possibility that the pressure on the veins will cause the skin in the ankles to change and become ulcers. Inflammation of the veins might be caused by clotting of the blood in the veins. Another possibility still is deep vein thrombosis, wherein the blood stagnates in the veins when the legs become inactive. Thrombosis is very rare, however. Varicose veins don’t have symptoms but other people may feel slight pain in and heaviness of the legs. However, these can be confused with the following diseases: arteriosclerosis, lumbar disk herniation, erythema nodosum, lymphangitis, chronic venous insufficiency, livedo reticularis and others. To avoid developing more noticeable veins, never sit or stand for extended periods. If your job requires you to stand or sit for hours, wear support or compression stockings. Avoid wearing high heels or staying still for long periods of time. Getting rid of bad lifestyle habits can also help reduce the appearance of varicose veins. Losing weight can help. Exercise and keep hydrated. If the veins are very noticeable, you can try other treatments such as sclerotherapy, YAG laser treatment, intravascular treatment or endovenous laser, and radiofrequency occlusion. In sclerotherapy, a concentrated saline solution is injected into the vein. YAG laser causes the superficial blood vessels to collapse and then seal. Intravascular therapy involves inserting a laser fiber into the vein to deliver laser pulses. 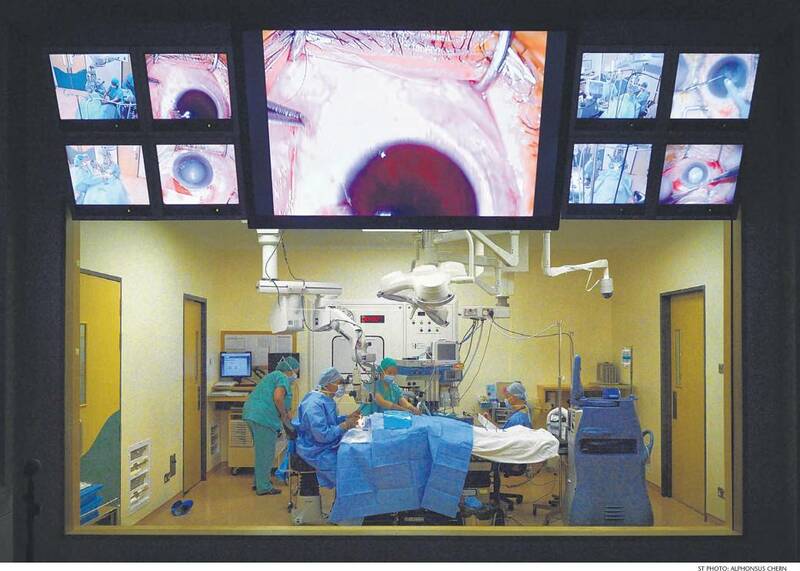 Radio-frequency occlusion delivers radio frequency into a vein through a catheter. 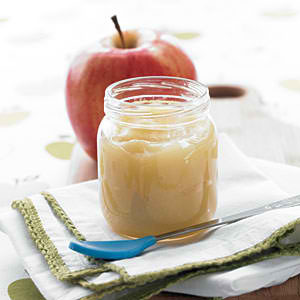 Certain foods have become staples for kids—apple juice, PB & J sandwich, pretzels and many more. They seem like healthy food choices because they are not chips and candies, but are they really nutritious for your growing toddlers? Don’t be fooled! The reality is, these kid classics are not as nourishing as you think they are. 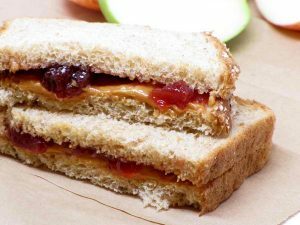 This classic favourite is perfect for your kid’s lunchboxes and last-minute meals, but traditional PB & J version on white bread isn’t really nutritionally appealing. Commercial peanut butters are loaded with artery-clogging oils and artificial sweeteners. And spreading it over grape jam adds extra helping of unhealthy sugar. It’s easy to make a healthier alternative, though, by using whole grain or wheat bread, natural peanut butter and thin slices of apples and bananas. What could be more wholesome that pureed fruit, right? Think again. Many commercial apple purees today are sweetened with artificial sweeteners and may even be tinted with food colouring. While there are still many nutritious ones out there, you need to know what to look for. When shopping around, look for words ‘unsweetened’ and ‘natural’ on the label. These purees contain no added sugars and artificial flavourings and colouring. Organic versions, which are made from fruits grown in chemical- and pesticide-free farms, are also available in many Singapore supermarkets. Granola is healthy, so a granola bar must be a great snack for kids, too. But read the packages of some brands, and you’ll see peanut butter, chocolate chips and caramel on them. They unfortunate truth is that granola bars today are almost as unhealthy as candy bars. Most granola bars are loaded with sweeteners and hydrogenated oils and are very low in protein and fibre in them. Instead of buying granola bars, create a trail mix with dried fruits, whole grain cereals, dark chocolate bits and nuts. 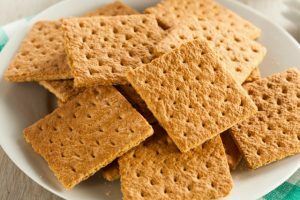 These crackers are regulalry served at many playschool and preschools, but they are actually more like cookies instead of crackers. They are usually made with refined flour and artificial sweeteners. Each sheet of graham contains a teaspoon of added sugar. Although some brands are fortified with calcium, it would still be smarter to get this mineral from milk and yogurt. Your kid’s muscles, bones and immune system are still developing; therefore they need enough nutrients to ensure healthy growth and development. So instead of serving them these snacks, look for a better and healthier alternative for these classic—and unhealthy—snacks. Singapore is a financially stable town that houses different establishments like hospitals, restaurants, bars, clubs, resorts and other buildings that are famous. Aside from the popularity of these establishments, the one the shines among the rest of the buildings are the hospitals in Singapore. Do you know Raffles Hospital? If not, it is the most popular hospital in the globe. Why? Because it has just successfully separated Siamese twins without difficulties found in twins after the surgery. However, this is not what only makes the country popular for their hospitals. Singapore is also famous for having the state-of-the-art facilities and equipment along with good health care services that anyone will truly praise. Also, Singapore ranks number 6 in the world for the most efficient hospitals they have. Aside the from their well-known and world class hospitals, Singapore meets the highest expectation of every patient once they arrive in the different hospitals of Singapore. 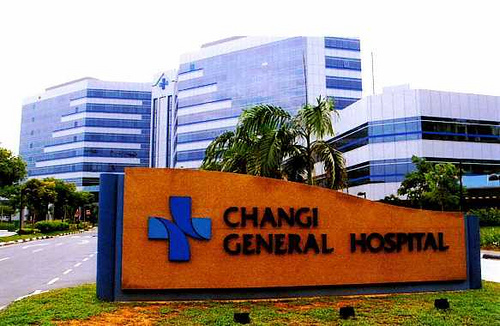 Changi General Hospital – If you think that you are unlucky because all hospitals are crowded. Well, here, the space is very huge as it can house nearly 800 patients in one single time. National Cancer Center – As the name states, it has something to do with cancer and it caters mostly cancer patients. It has different facilities for cancer treatment and strengthens their research to help patients be mindful about what cancer is. Singapore National Eye Center – This Health Care Center was founded in 1990 and nearly 50 units of eye consultation and 9 operation devices. Also, they boast here their development and research facilities.